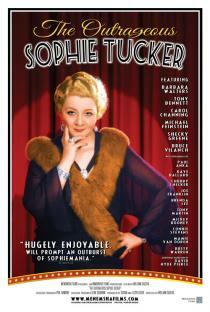 The Outrageous Sophie Tucker is directed by William Gazecki, and produced by Lloyd and Susan Ecker. It is a documentary about Tucker that draws heavily on Tucker’s private scrapbooks and letters, supplemented by interviews with people who knew her. The producers, however, find various ways to insert themselves into the story, in such a way that the film ends up being partly about them. This might have been unobjectionable if it were not for their self-important attitudes. For example, Lloyd Ecker tells a story about US GI’s playing a recording of Tucker’s “My Yiddische Mama” on the streets of Berlin at the end of World War II. This could have been an interesting side-note to Tucker’s life, but Ecker’s telling of the story is so long-winded and bombastic that you can’t wait for him to move on to something else. Even worse, Ecker later pretends to get choked up when he tells the story of Tucker’s last public appearance. This sort of thing is just insulting to people’s intelligence, and it actually does a disservice to Tucker’s memory. On the bright side, The Outrageous Sophie Tucker will perhaps lead to a renewed interest in Tucker’s music and life. I just wish it could have been a better film. I normally don’t watch CNN, but they show it on the TV at the food court at my local Gelson’s, so I couldn’t help watching it while I was waiting to use the men’s room. Donald Trump had given a speech at a retirement community somewhere, and he had gotten a good reception. 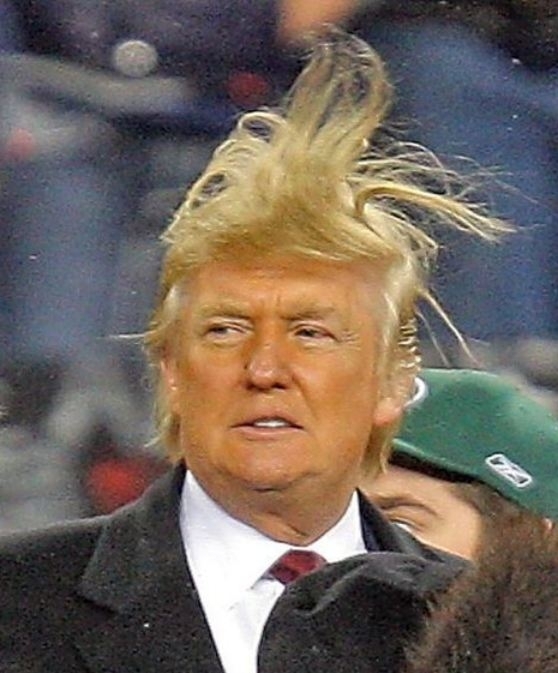 However, one woman who was interviewed said, “He frightens me.” When asked why she gone had to see his speech anyway, she said, “He’s a celebrity.” Trumps’ candidacy shows the triumph of celebrity in our society. Trump is a celebrity, so he must be listened to. Fame trumps all other considerations. Trump first came to national attention during the 1980’s. The eighties were a decade of make-believe. President Reagan presided over a humiliating military retreat from Lebanon, nevertheless we were told that he had made America “great again”; he had shown the world that we were not to be trifled with! Trump was another fantasy. A man who filed for bankruptcy three times, he was touted as a financial wizard, a man who had mastered “the art of the deal”. Does the re-emergence of Trump suggest that we are heading into another period of make-believe? Perhaps we don’t want to deal with the disappointments we’ve had. The wars in Afghanistan and Iraq were a bust. Obama’s promised “hope and change” have merely been a weak economic recovery and a deeply flawed health care bill. Trump offers us a fantasy world in which one only has to proclaim oneself great, and – hey presto! – one is automatically great. The election of Ronald Reagan was seen as a symbol of how movies have come to dominate our culture. Trump promises to do the same thing for tacky reality TV shows. The “War on Drugs’ continues to take a heavy toll not only on our country but on Mexico as well. The drug cartels that terrorize that country grew up to feed the underground US drug market. 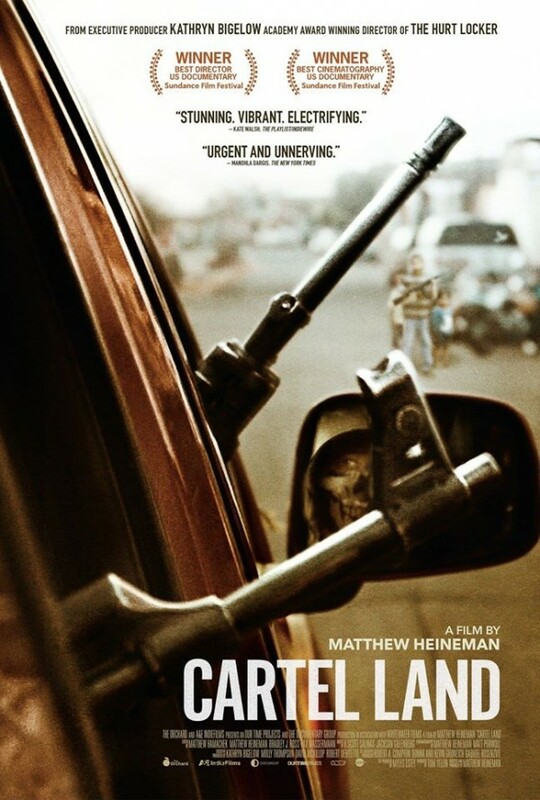 Matthew Heineman’s documentary, Cartel Land, examines this situation. The film begins with a scene of Mexican cartel members cooking meth. One of them frankly informs us that most of their meth will go to the US. We are then shown a funeral for several members of a Mexican family. When the owner of a lime farm refused to pay money to the Knights Templar cartel, they responded by killing the workers on his farm, as well as their families. We are then introduced to Jose Mireles, a doctor, who has organized a vigilante group, Autodefensas, to fight the Knights Templar in the Mexican state of Michoacán. The go from town to town and drive away any cartel members that they find. In one scene, an army squadron shows up and tries to disarm the Autodensas. The people of the town come to the aid of the vigilantes, and the army is forced to back down. The Autodefensas grow rapidly in size and power. There are inevitably abuses, and in some cases outright criminality. Mireles tries to reassert control over the group, but one gets the impression that he is in over his head. He suspects that the Autodefensas have been infiltrated by the Viagra cartel, and it soon becomes clear that this is exactly what has happened. The Autodefensas become “legal” by joining the federal police, with cartel members in their ranks. Fearing for his life, Mireles goes into hiding. He is eventually arrested by the government for illegal firearms possession, and he is now in prison. We are shown members of the Viagra cartel, some of them wearing federal police uniforms, cooking meth. This story is interspersed with another story about a US vigilante group, Arizona Border Recon, which claims to be “defending” the border. (The Southern Poverty Law Center has identified these people as a hate group.) Their leader is Tim “Nailer” Foley, who lives in Arizona’s Alta Valley. Foley claims that Mexican drug cartels have taken over this area, although he provides no evidence to prove this claim. We see Foley and his followers patrolling the desert, with nary a cartel member in sight. (This is marked contrast to the gun battles we see in some of the Michoacán scenes.) In one scene they come across some immigrants, and they promptly turn them over to the Border Patrol. That is all the “invasion” that we see. One gets the uncomfortable feeling that the people in ABR get their ideas from watching Fox News. This is clearly another situation that can’t end well. This film is deeply disturbing to watch. Seeing the Autofefensas turned into their opposite shows just how powerful and corrupting the drug trade is. The only possible solution is to legalize and regulate the sale of “recreational” drugs. 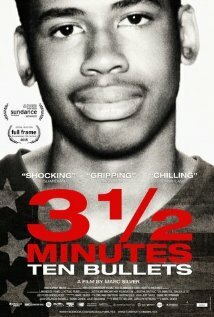 3 1/2 Minutes, Ten Bullets is a documentary about the 2012 murder of Jordan Davis and the subsequent trial of his killer, Michael Dunn. Dunn shot and killed Davis after the latter refused to turn down his car radio in a gas station parking lot. Dunn also shot at the other three people who were in the car with Davis. This film largely consists of interviews with Davis’s parents and with his friends, as well as scenes from Dunn’s trial. Davis is portrayed as a good kid, who was well liked by his friends, even though he wasn’t very good at playing basketball. It’s the trial scenes, however, that are the most interesting. Dunn’s lawyer does a good job of cross-examining the prosecution’s witnesses, but he makes a crucial mistake when he puts Dunn on the witness stand. (Perhaps he felt he had to call Dunn because there were few witnesses, and because Davis’s friends seemed credible on the stand.) The prosecution catches Dunn in a lie, which undermines his claim that Davis had a gun. In spite of this, the jury dead-locked on the question of whether Dunn committed first degree murder. They did find him guilty of three counts of second degree murder, for shooting at Davis’s friends as they were trying to get away from him. Dunn’s lawyer tells the jury that the trial is not about race. There is no evidence that Dunn used racial epithets at the time of the shooting. Yet one can’t help but wonder if he would have shot at three white boys playing loud music. I would have liked to learn more about Dunn: his background, his political beliefs, etc. At the end of the film, he shows no remorse for what he did, and he even claims to be the “real victim” in this case. Dunn kept a loaded gun in his car, and I suspect that he was secretly wishing that he would one day have an excuse to use it. He was an accident waiting to happen.